Agnes Newton Keith was born Agnes Jones Goodwillie Newton in Oak Park, Illinois, and grew up in California. She graduated from the University of California, Berkeley, and got a job with the San Francisco Examiner. Serious health problems following an assault by a stranger caused her to leave the paper, and she travelled, studied dancing, modeled clothing, and did various jobs in the movie business. In 1934, she married Harry Keith, an official in the government of the British colony of North Borneo (present-day Sabah, Malaysia), and accompanied him there. They lived in Sandakan, and Agnes occasionally joined her husband on trips into the interior of the country. Her writing about her experiences won the Atlantic Monthly's Non-Fiction Prize contest, and was partly serialized in the magazine before being published in book form as Land Below the Wind (1939). The Keiths were on leave in Canada when World War II broke out, and Harry was ordered back to Borneo immediately. The Japanese invasion force arrived in Sandakan in January 1942. Agnes and her young son George were first interned on nearby Berhala Island along with other Western women and children; Harry was imprisoned in the vicinity. Later Agnes and George were sent to other Japanese prison camps and did not see Harry for three years. All of them survived to be liberated in 1945. They moved to Victoria, British Columbia, but in 1946, Harry was asked to return to Borneo and the family was split up again. Agnes used her diaries, kept secretly in the prison camps, as the basis for her memoir Three Came Home, published in 1947. It became a bestseller and was adapted into a 1950 film. In 1951, Agnes published the third book in her Borneo trilogy, White Man Returns. She and George returned to Sandakan to be reunited with Harry and lived there until 1952. In 1953, Harry joined the Food and Agriculture Organization of the United Nations, and was posted to the Philippines. Agnes wrote Bare Feet in the Palace (1955) about life there. She wrote Children of Allah (1966) about their next posting in Libya. The Keiths finally retired to British Columbia, where Agnes continued writing. Her first novel, Beloved Exiles, was published in 1972. Her last book, Before the Blossoms Fall: Life and Death in Japan, appeared in 1975. 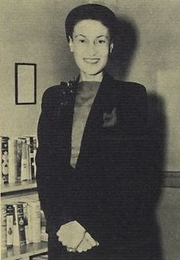 Agnes Newton Keith is currently considered a "single author." If one or more works are by a distinct, homonymous authors, go ahead and split the author. Agnes Newton Keith is composed of 4 names. You can examine and separate out names.